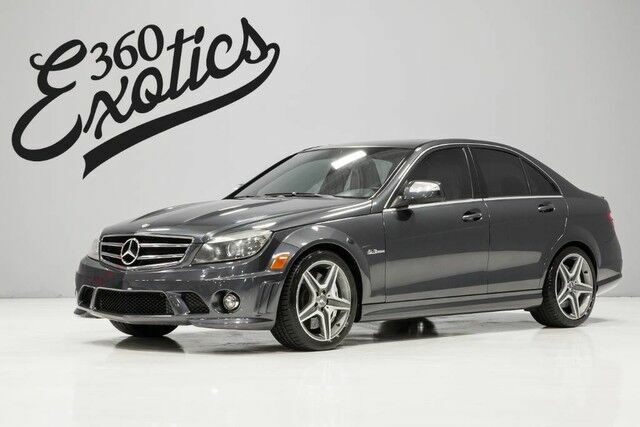 Thank you for visiting another one of 360 Exotics's online listings! Please continue for more information on this 2009 Mercedes-Benz C-Class 6.3L AMG with 58,260mi. This 2009 Mercedes-Benz C-Class has such low mileage it has been parked more than driven. The Mercedes-Benz C-Class models cover a lot of ground depending on the specific trim. In Sport trim, the C-Class is closer to a sport sedan than it has ever been, competing head on with the BMW 3-Series and INFINITI G35. But in Luxury trim, the C300 has a softer, more settled feel and has the poise and comfort of a larger sedan. With a total of eight airbags, the V6 C-Class models now offer more safety features than its rivals, while the C63 AMG still stands out as one of the fastest high-performance vehicles available.